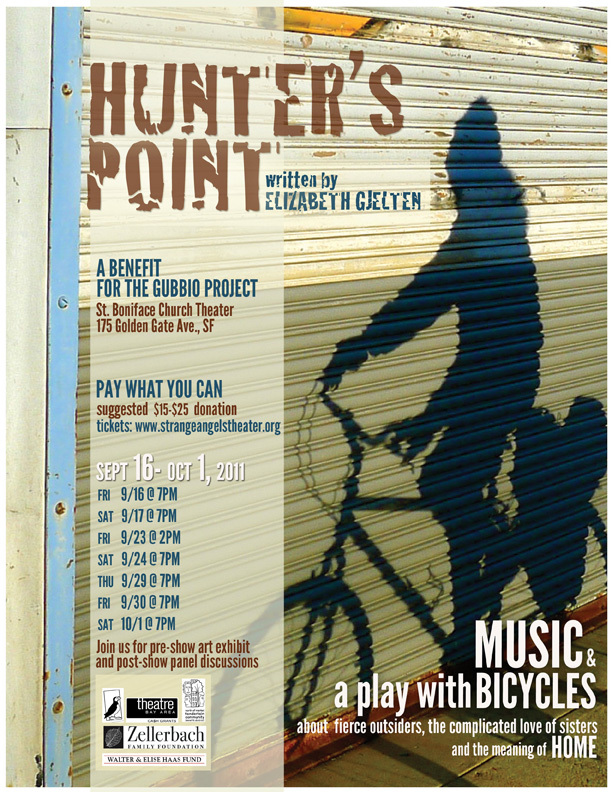 **Funded by Walter and Elise Haas Fund, Zellerbach Family Foundation, Stanley S. Langendorf Foundation, Puffin Foundation, Theatre Bay Area CA$H grant program, and the University of San Francisco; with participation of the North of Market/Tenderloin Community Benefit District. Please come early to take in the lobby art installation and be sure to leave comments in the ledger. I value your feedback!